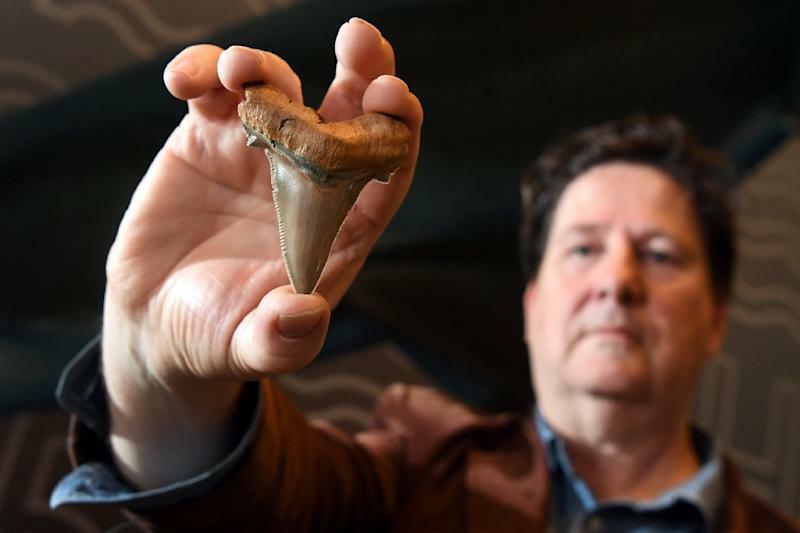 Melbourne (AFP) - A rare set of teeth from a giant prehistoric mega-shark twice the size of the great white have been found on an Australian beach by a keen-eyed amateur enthusiast, scientists said Thursday. Philip Mullaly was strolling along an area known as a fossil hotspot at Jan Juc, on the country's famous Great Ocean Road some 100 kilometres (60 miles) from Melbourne, when he made the find. "I was walking along the beach looking for fossils, turned and saw this shining glint in a boulder and saw a quarter of the tooth exposed," he said. "I was immediately excited, it was just perfect and I knew it was an important find that needed to be shared with people." The shark, which stalked Australia's oceans around 25 million years ago, feasting on small whales and penguins, could grow more than nine metres long, almost twice the length of today's great white shark. "These teeth are of international significance, as they represent one of just three associated groupings of Carcharocles angustidens teeth in the world, and the very first set to ever be discovered in Australia," Fitzgerald said. "The stench of blood and decaying flesh would have drawn scavengers from far around," he said. "Sixgill sharks still exist off the Victorian coast today, where they live off the remains of whales and other animals. This find suggests they have performed that lifestyle here for tens of millions of years."